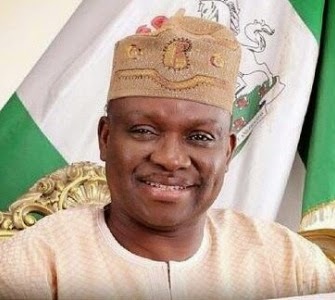 Ekiti State Governor Ayodele Fayose on Monday presented a N80.774bn budget for 2015 to the Ekiti State House of Assembly. While presenting the budget, the governor dared the opposition All Progressives Congress lawmakers in the state to attempt to overrun the state, saying they would be dealt with by the people. The budget christened, “Budget of Reality,” was presented to the state lawmakers amid tight security. The budget represents 77.7 per cent of former Governor Kayode Fayemi’s 2014 budget of N103.8bn. The APC lawmakers in the House were absent at the plenary even as the chamber was filled to capacity by members of the Peoples Democratic Party, government officials and supporters of the governor. Fayose urged the assembly to examine the draft budget and to further articulate the needs of the electorate and appropriate public funds for their realisation. He said any attempt to overrun the Assembly by the APC lawmakers, who had ran away from the state for over two weeks, would be resisted by the people. “Why did you (APC lawmakers) go on self-exile? Who drove you to self-exile? Some people elected me, you are less than 30, and you can’t stop the activities of the state. That is impossible,” he said. Turning to the Speaker, Dele Olugbemi, Fayose said, “Mr Speaker, you are the speaker, I say you are the speaker. I say it again you are the speaker. I’m saying it with the authority of the governor that the power of the people is greater than those in power. In the 2015 proposed budget, a total of N48, 717bn, representing about 60 per cent was allocated for recurrent expenditure while capital expenditure would gulp N31.956 bn.